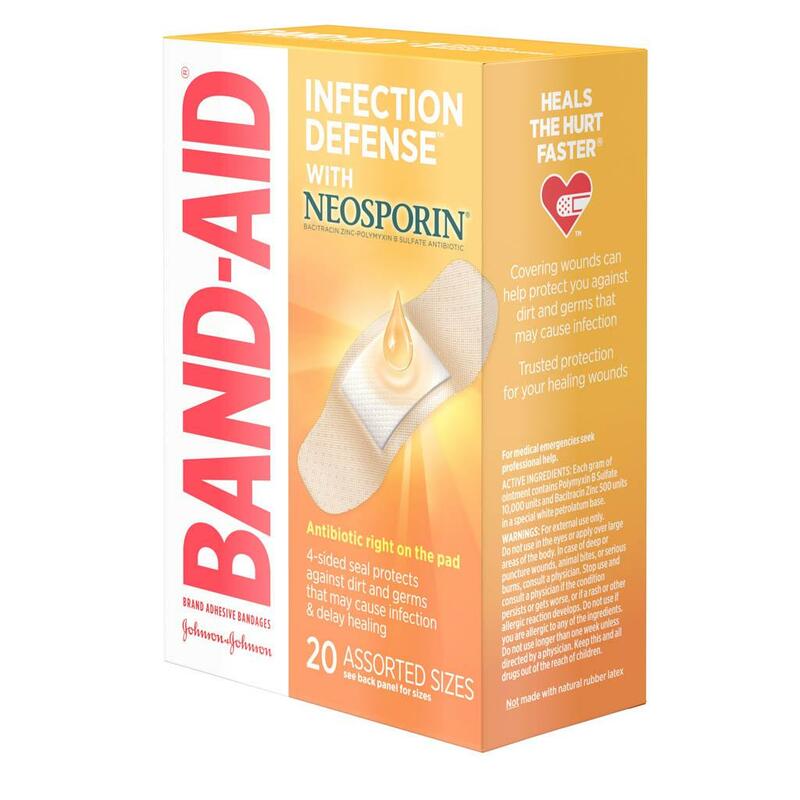 Get mess-free infection protection with these BAND-AID® Brand INFECTION DEFENSE™ Bandages. 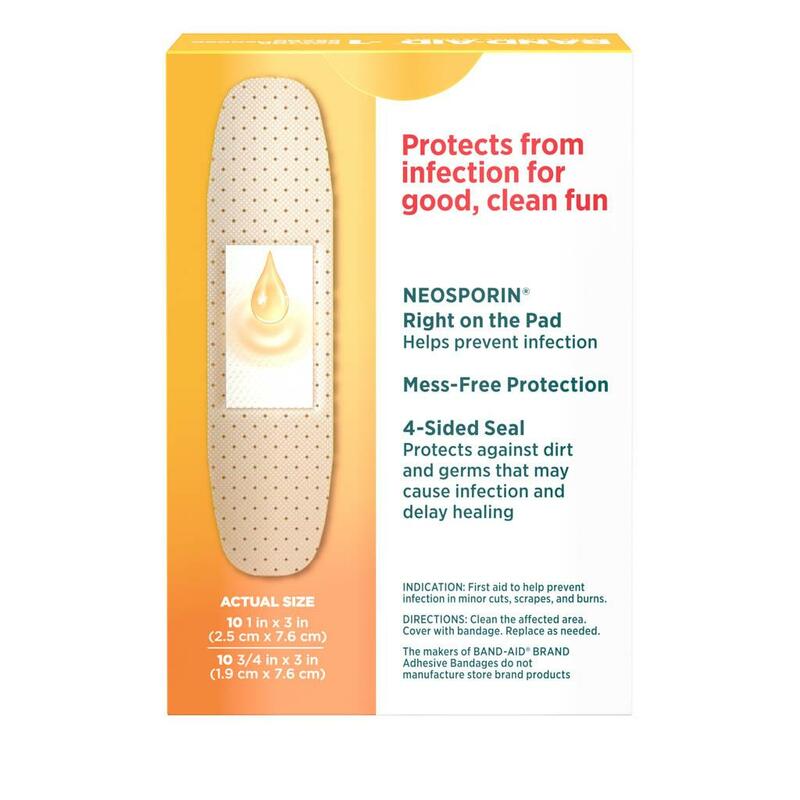 In assorted sizes, these sterile bandages have NEOSPORIN® antibiotic ointment right on the pad, and provide a 4-sided seal that protects against dirt & germs that may cause infection & delay healing. 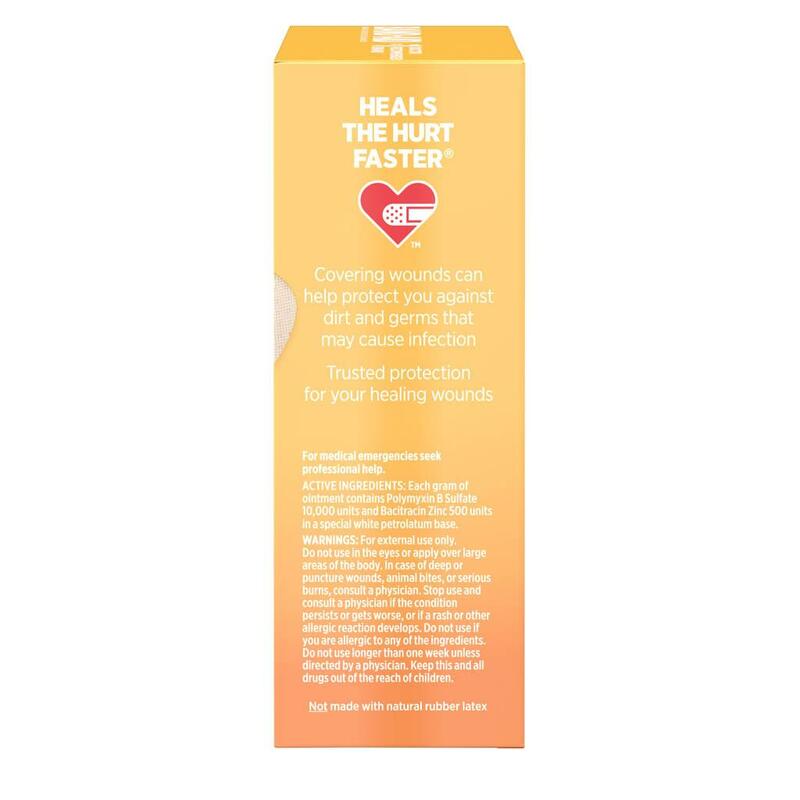 These BAND-AID® Brand Adhesive Bandages also have a HURT-FREE® Pad that won’t stick to the wound, allowing for gentle removal. 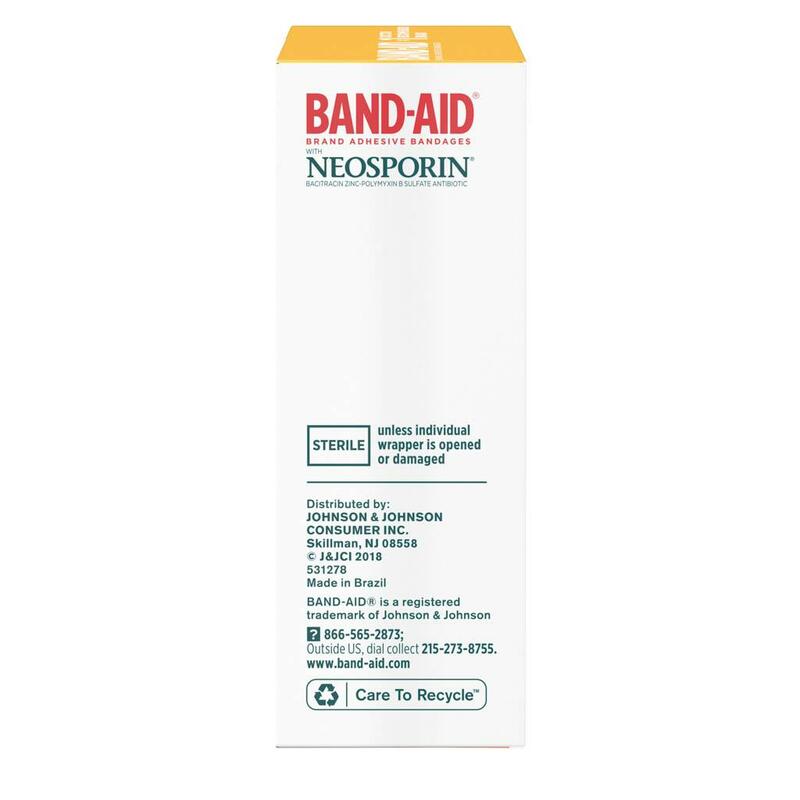 This package contains 20 antibiotic bandages in a variety of sizes.